What happens when a 1200-pound-plus cow steps on its newborn calf? Well, lets just say that the calf isn’t usually a winner. But in this case, the vet was called in and so far, things are looking good. He may be wearing a cast, but it's not slowing him down! 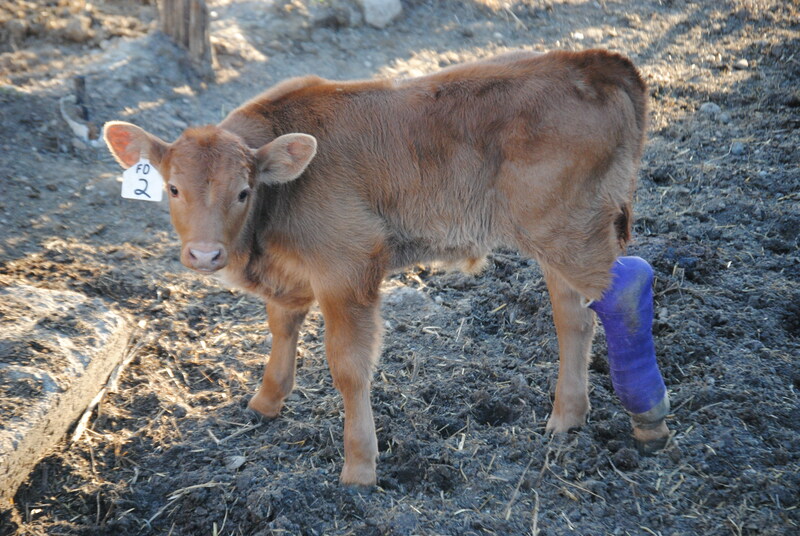 That’s right, we have a calf in a cast. He’ll keep the cast on until the first week of April or so…and while he has his cast on, he’ll be treated to a special pen in the yard, and will spend his nights next to his mother in the barn. 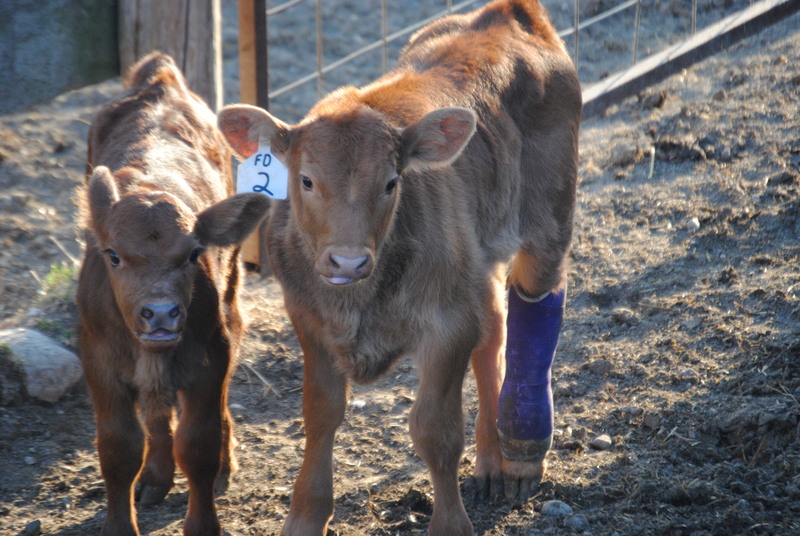 Broken legs don’t happen often on the farm, but when they do, it’s important to have them heal as best as they can, so the calf can walk normally and be able to stand and regain use of the limb. And so far, this little guy seems to be doing great. Walking around, checking out his surroundings. So what does it cost to have a cast put on a calf? Our vet bill was right at $200. Plus a little extra time for a few weeks. And it was a great teaching moment for the boys. This entry was posted in beef, Boys, Calving, Cows, Farm life and tagged calving, cows, farm life, farm questions, life on the farm by wagfarms. Bookmark the permalink. Thankfully the pens are fairly dry so this little guy still has some room to run. They usually heal just fine. We seem to have one or two every couple of years. We had one that we casted ourselves with a length of PVC pipe cut in half lengthwise, lined with cotton and then we wrapped with Vet Wrap. Worked out great and he healed beautifully! Another blogger had a cow (maybe a calf) with a broken leg and she was saying how their is a shortage of the big animal vets becuase of low pay and hard working hours. I thought this was too bad.